Regardless of one’s religious beliefs, many people would likely agree that the construct of Jesus Christ represents a morally righteous person. What would Jesus think about modern Americans’ behaviors, and our sense of right and wrong? Would he have supported administrators making more money in one month than people at the same organization make in one year, or preferred one ethnic group over another? We surveyed 458 American adults at the end of August 2017, asking them what they think Jesus would think of certain issues of our day. Curiously, when asked about “U.S. 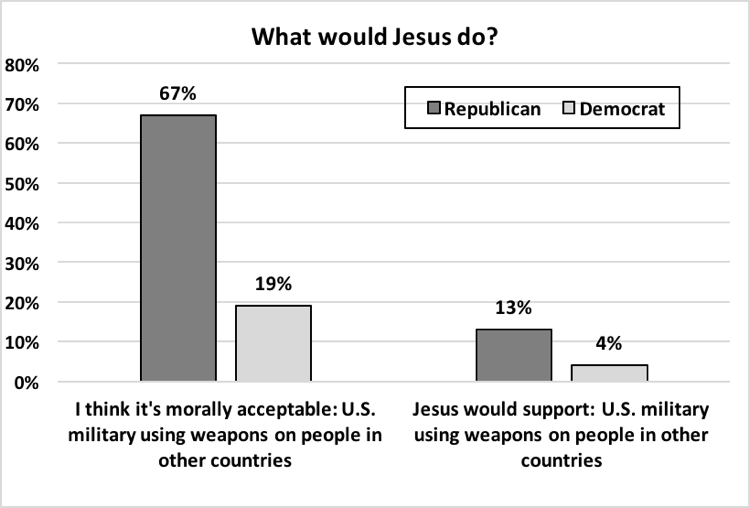 military using weapons on people in other countries,” we found that the Republicans, who tend to identify as Christian at higher rates than Democrats, deviated considerably in their own moral views from their perceptions of what Jesus would think. Surveys were collected via opt-in online survey among a nonprobability sample of Americans from the general public (458 participants: 438 from Mechanical Turk (MTurk) and 20 from Facebook and Reddit online communities). 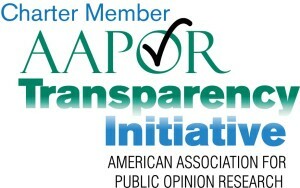 This study was sponsored, conducted, and funded by PolicyInteractive. MTurk respondents were paid a token of $.34 each. The reported data is not weighted. These surveys were administered during the month of August in 2017, and only in English. Demographic details, complete surveys and full results at links below. Next: Reasons voters are dissatisfied with U.S.